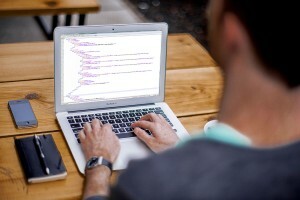 We specialize in developing websites using open source content management systems such as WordPress, Drupal, and Joomla! ; as well as a select group of proprietary content management systems. We are also capable of rapidly producing stand-alone, static websites, as needed, for the purpose of creating landing pages or microsites by utilizing a variety of programming languages. We bring all our years of experience and expertise to bear for each project in order to generate results that exceed expectations. We produce semantically coded, standard complaint web platforms that are not only intuitive for the end user, but also lightweight and efficient for the server and internet browsers to process. Create a basis for design, content, and information architecture (IA). Identify the ideal strategy to support both your users needs and your business goals. Taking designs prepared in Photoshop, Illustrator, from the browser or even sketches; we adapt to your design process and help you translate your design ideas to code. Building fast, scalable and secure web applications with back-end code written in PHP. We can serve the needs of both small and large business applications alike. Taking your PSD files and converting them into efficient, cross-browser compatible, semantic, standard compliant HTML markup quickly and with pixel-perfect precision! With responsive design, your website will adapt to all devices or screen sizes using responsive grid systems such as Bootstrap or Foundation. Custom grids by request. Converting a PSD design to Email just got easier with our tested and proven conversion technique. Let us get your email campaign started on the right foot! Convert your PSD designs into a fully functional, easy-to-update WordPress website today. Join the 60 million others who use WordPress everyday. See your PSD designs come alive with a feature-rich Drupal website. See why major players in all facets of industry and business have come to rely on Drupal. Bring your PSD design ideas to life with a fully functional, easily maintainable Joomla! website. Enjoy all the benefits of the new and improved Joomla! platform.